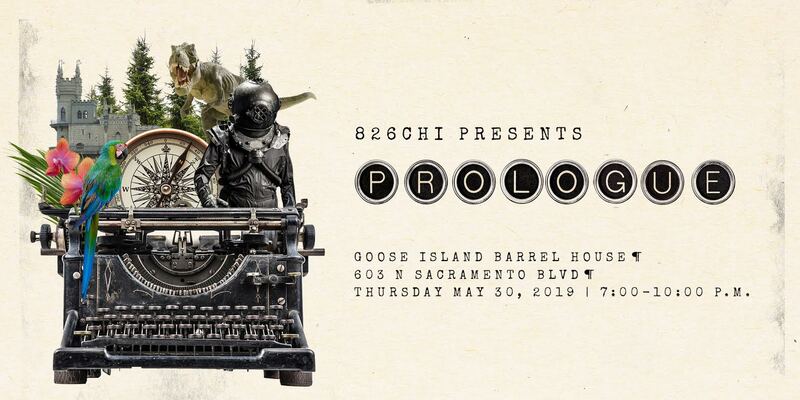 Prologue—Chicago’s premier literary cocktail party—will be returning for its sixth year on Thursday, May 30th from 7-10pm at the Goose Island Barrel House. This event will bring together current and future authors, book lovers, and hundreds of supporters of 826CHI's free writing programs. Expect hors d’oeuvres, an open bar, and a raffle of luxe prize packages, sprinkled in with readings of curious and wonderful stories by 826CHI student writers. Reserve your ticket here. Tickets are $95, and all proceeds benefit 826CHI’s year-round programming. Prologue is planned by the 826CHI Associate Board, a group of volunteers committed to spreading awareness of 826CHI’s mission, organizing multiple fundraisers throughout the year, and financially supporting the organization. Associate Board membership is a unique way to contribute to a better Chicago while strengthening personal leadership skills. Learn more about the Associate Board and find out how to get involved here.